It marked the first time in roughly 25 years that the federal government had proactively initiated an AD/CVD investigation. The 79 investigations initiated during 2017 marked a 65 percent increase over the 48 investigations initiated during 2016. This increase seems to align with President Donald Trump’s commitment to protect American businesses and industries from unfair trade practices , through an increased emphasis on strong trade law enforcement. 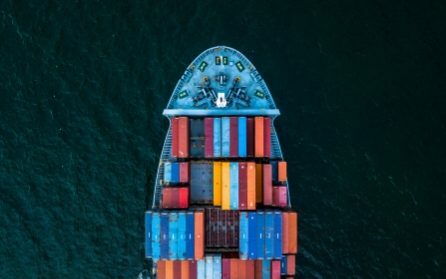 For importers then, the message is clear: Expect increased scrutiny of all shipments entering the United States, including a deeper look into whether or not a shipment is subject to AD/CVD. First though – what are anti-dumping and countervailing duties? Countervailing duties cases occur when a foreign government provides assistance and subsidies, such as tax breaks, to manufacturers that export goods to the United States, that are sold in the U.S. cheaper than domestically-produced goods. Countervailing duties cases are country specific, and duties are calculated to negate the impact of the subsidy. CBP notes that while AD/CVD cases account for only four percent of total imports, the added duty – which in some cases can be as high as 400 percent — can have a serious impact on a business’s operations. A U.S. manufacturer that purchases a supply of coiled steel from Korea at what it believes is a highly competitive price, for example, might be surprised to learn the purchase is subject to countervailing duties as high as 57 percent. That particular CVD was imposed in 2016, after the U.S. industry claimed several countries – Australia, Brazil, Japan, Korea, the Netherlands, Turkey and the United Kingdom — were engaging in unfair trade practices with regard to steel exports to the United States. As with all customs mandates, responsibility for compliance rests with the importer. This means that, even if a business entrusts the customs process to a broker or to its logistics partner, the business still has ultimate responsibility. The complimentary paper, which can be accessed by clicking here, provides a detailed overview of the AD/CVD topic, and answers many questions a U.S. business may have on this important topic. The Trump Administration has stated repeatedly that trade enforcement will be a top priority. Businesses need to heed those words, and make sure they are in full compliance with any AD/CVD orders.